Matthew Cravey, Texas-based industrial and commercial real estate expert, was recently featured in CNBC.com and other major online media outlets, including Yahoo!Finance, Businessweek, MarketWatch and many others. CORPUS CHRISTI – December 9, 2014 – A feature story about Matthew Cravey, Founder of Cravey Real Estate Services, Inc., was recently seen on CNBC.com as well as the other major online publications such as Yahoo! Finance, The Boston Globe, San Antonio Business Journal, Bloomberg Businessweek and MarketWatch, among many others. Since 1974, Matthew Cravey has been involved in real estate marketing, sales, leasing, management, investment, and development. As President of Cravey Real Estate Services, Inc., one of the largest Commercial Real Estate Companies south of San Antonio, Matthew holds two of the highest designations in the commercial real estate industry: Society of Industrial and Office Realtors (SIOR) and Certified Commercial Investment Member (CCIM). Matthew is known for his proficiency in problem-solving, as well as his tenacity, focus and passion, intensity and desire. Matthew and his firm have cultivated a reputation for reliability and prudence in providing clients with real estate leasing and sales, investment counseling, asset management and real estate marketing services. He has helped court trustees, creditors and debtors negotiate and resolve problems involving property in bankruptcy, and has testified as an expert witness in legal cases involving lenders vs. borrowers, offering his expertise on both sides of the equation. Recently, Matthew has joined a select group of business leaders from around the world, along with TV pioneer Kevin Harrington (Original shark from Shark Tank) and renown money expert Loral Langemeier, to co-write the forthcoming book titled, Get in the Game: The World’s Leading Entrepreneurs and Professionals Reveal How YOU Can Get Off the Sideline and Start Improving Your Health, Wealth and Lifestyle! 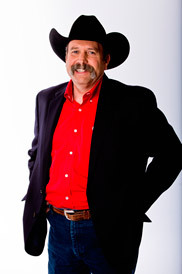 Raised in the Texas Hill Country, Matthew began his career in the real estate industry in 1974, selling ranch land and large commercial tracts in the Kerrville-San Antonio region. He continued selling ranch property when he moved to Corpus Christi in 1976, but the scope of his professional involvement quickly expanded to include marketing commercial buildings, retail centers, apartment complexes and developer tracts, as well as income property and asset management. Matthew has been recognized for his expertise in real estate and has won the prestigious NAI Global Elite award several times and is a contributor to national and regional trade journals across the country. This entry was posted on Monday, December 15th, 2014 at 8:47 pm	and is filed under Press Releases.